Cuteness abounds in the toddler program. Accotink Academy By The Sea has recently opened a new toddler program. They have opened two new NON POTTY TRAINED classes. (Editor’s commentary: This is huge. My kids are older now, but boy would I have loved this! Great school and lovely teachers.) These classes are being lead by two veteran teachers with 25+ years of experience. Patting heads and rubbing tummies? Tough teacher. 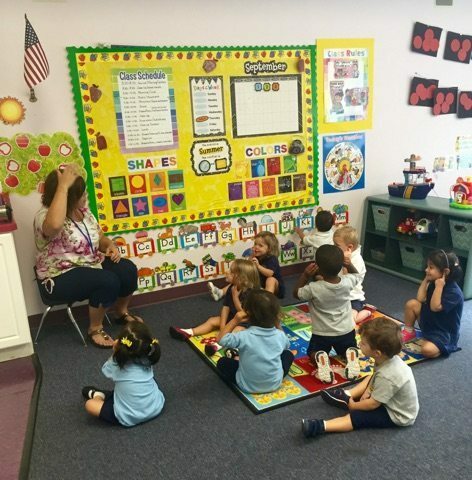 The teachers introduce routines and offer positive guidance to help give toddlers the confidence to practice new skills and embrace new experiences. Weekly, theme-based lesson plans help meet the diverse needs of every child through researched activities. The consistent-yet-changing, low-ratio atmosphere matches children’s rapidly emerging interests and abilities, and offers many opportunities for early reading, math, and imaginative play learning experiences. 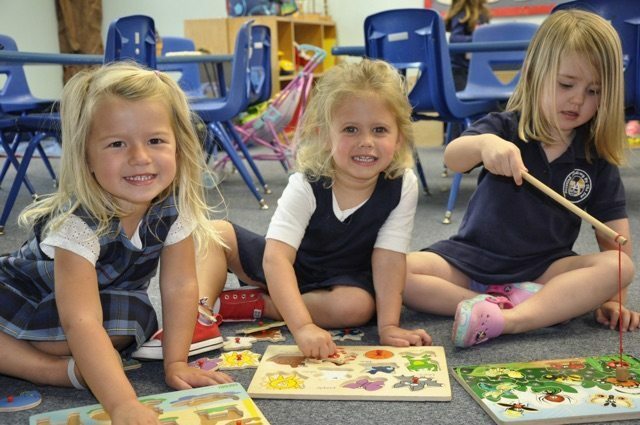 Accotink Academy By The Sea has over 18 years of experience with the educational development of children, toddlers through early elementary, including VPK. Our curriculum includes Spanish, Dance, and Music classes, in addition to the academic foundation we are known for. We would love you to schedule a visit so you can see why so many families recommend our school.